The creation of DHAB DMCC, was an initiative to provide both individuals and institutional clients with an outstanding service at a competitive price, and yet be able to seek transparency and efficiency in what we do. 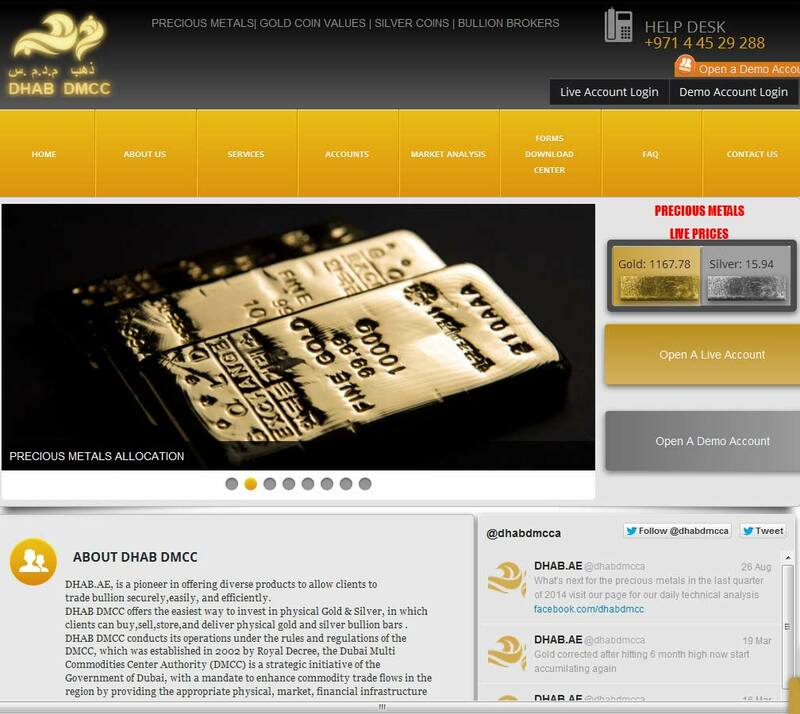 Dhab DMCC are a full service precious metals dealer based in Dubai and offering trading accounts, gold retirement accounts, secure storage, assaying and refining. Their phone lines are down, also their office at JLT. I can surely say that DHAB DMCC has a high quality management and outstanding service. I would say it is the best company in the gold industry I do business with. Being a customer of Dhab dmcc, they are one of the limited organization in Middle East who really do care and serve at their best on right time. They are customer focus and advise the right action on well time and always available if you need any service anytime. An outstanding service at a competitve price, transparency and efficient in its dealings. Best gold company i bought from, professional fast and reliable. 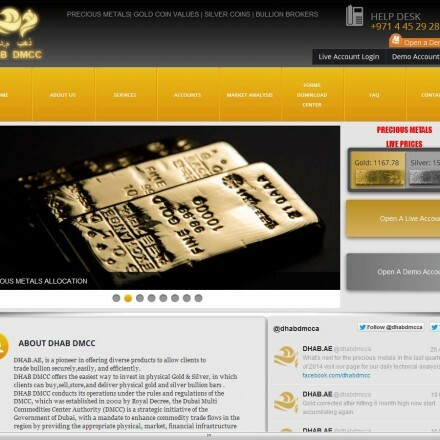 Our Dhab DMCC reviews are powered by Bullion.Directory - The Metals Investment Portal. Material provided on the BuyGold.ae website is strictly for informational purposes only. It is not intended as financial, or investment advice and must not be relied upon as such. Precious metals carry risk and investors requiring advice should always consult a properly qualified advisor. BuyGold.ae, it's staff or affiliates do not accept any liability for loss, damages, or loss of profit resulting from readers investment decisions.